Physicians Practice publishes and distributes Physicians Practice, a practice management journal for medical professionals, and also operates physicians practice management web sites, newsletters, conferences and education programs. 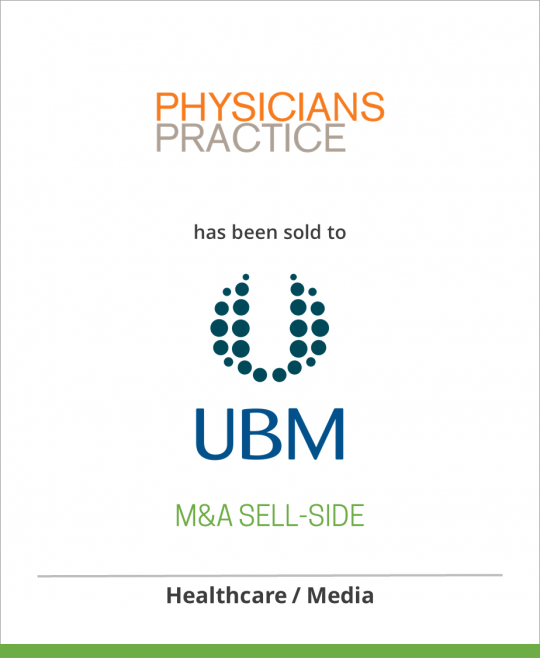 The Business also includes the provision of continuing medical education through patient-centered practice programs. CMPMedica provides information and education to healthcare professionals and patients around the world. It has a unique portfolio of professional media products including newspapers, magazines, drug directories, electronic databases, websites and events.